A superb figure, tossed up as by the horns of Taurus against the thunderous sky, cheerily hallooing to the strenuous file along the spar. With no perceptible trace of the vainglorious about him, rather with the off-hand unaffectedness of natural regality, he seemed to accept the spontaneous homage of his shipmates. This is a man of ease and grace, natural ability and humility. Melville’s Handsome Sailor is not an attention-seeker. The Handsome Sailor of Billy Budd is slightly shy. He’s the kind of men other men admire, but his humility, the grace with which he carries his gifts, is such that other men want to be around him. He’s the kind of guy who makes other guys happy. We had at least one of these guys in the league. He was, in my view, easily the league's best all-around player. He really loves the game, and doesn’t hold back. He plays a skilled game – the kind that is beautiful to play with, inspiring to play against, and amazing to watch. When this player couldn’t make a game, or was running late, the guys on his team would glance wistfully towards the parking lot, and ask each other “Isn’t X playing today?” They wouldn’t say much, but the disappointment was all over their faces. No irritation that this person couldn’t be there – instead, the guys would just sigh. Like they were lucky he played with them at all. And they were. Not every team has one. Not every team needs one – but those who do count the Handsome Sailor among their ranks have a special magic: the equilibrium of a system in full cooperation with itself. When all goes well, this person is not a captain but a kind of talisman. 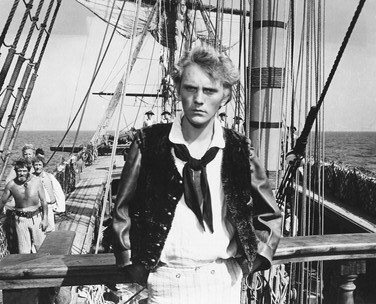 If you've read the novel, you'll know that not everyone on a team is OK with their Billy Budd. Disaster looms for those unable to live in the company of this sort of charismatic talent. Messi is a Handsome Sailor, and Barcelona is a team that knows how to play with him. Marta is a Handsome Sailor, for sure. And when she was playing, so was Mia Hamm.